Marc and Anne would like to welcome you to their friendly, family run Guest House. We offer high quality bed and breakfast accommodation. Penrose is a Grade II listed building, over 200 years old, maintaining many of its original features. 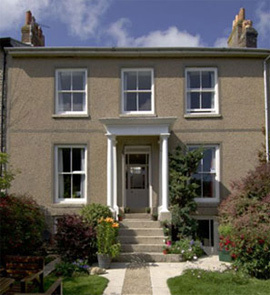 The Accommodation is close to the bus and train stations and only a few minutes walk from the town centre and harbour. We are close to, but not on the main road and many guests have commented how quiet our street is. 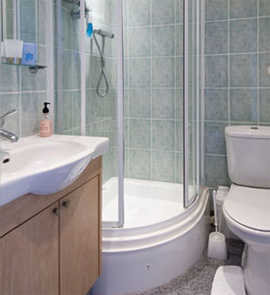 It is ideally situated for easy access to the town centre with its many shops and restaurants. The nearest sandy beach is only a 15 minute stroll away.